What is Safe Mode? safe mode inside windows xp operating system is the same meaning a mode without danger. Inside windows xp safe mode, some functions such as connecting to the internet, will not be active in windows xp Safe Mode and a standard video driver will be loaded causing a washed out look and a possible change in resolution. 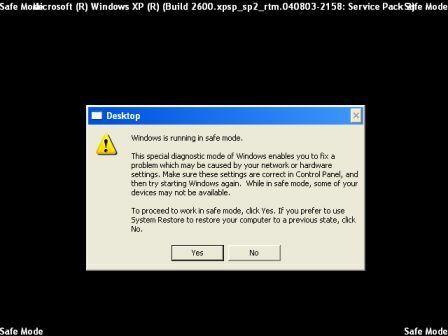 Many non core components are disabled in windows xp safe mode same meaning there are turn off. An installation that will only boot into its windows xp safe mode typically has a major problem, such as an installation of poorly configured the software that prevents windows xp operating system from successfully booting into its normal operating mode.Â Windows xp safe mode typically provides many access to utility and diagnostic programs. With this option, user can troubleshoot what is preventing the windows xp operating system from working normally. Windows xp safe mode is intended for maintenance, not functionality, and provides minimal access to features. Microsoft windows and Mac Os is the examples of contemporary operating systems that implement a safe mode. User also can remove spyware, virus or malwave such that cannot be remove in normal mode. Below the tutorial how to getting into windows safe mode. select safe mode option and hit enter button, next screen will appear same like screenshots below. 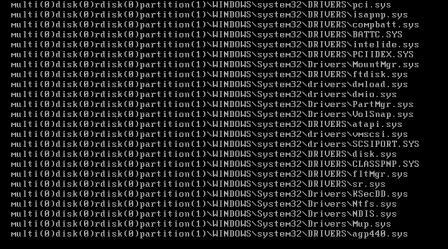 wait until windows xp execute this process, this is the normal process when enter safe mode option. After finish this process windows will start in safe mode, one pop up menu will appear same like screenshot below. The message will says, windows is running in safe mode. this special diagnostic mode of windows enables you to fix a problem which may caused by your network or hardware setting. make sure these setting are correct in control panel, and then try starting windows again. while in safe mode, some of your device may not be available. to proceed to work in safe mode, click yes. 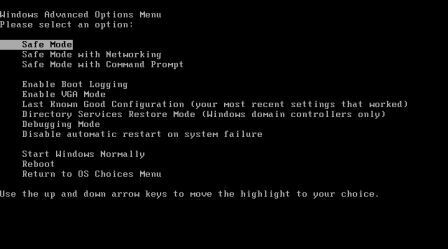 if you prefer use system restore to restore your computer to a previous state, click NO. Below is the example screenshot windows xp safe mode process, user can compare the normal process and the safe mode process, inside safe mode option, only half than normal process will running. After finish doing troubleshooting process, user can boot windows in normal mode with only restart windows xp.